good money once one qualifies - £55,000 a year!!! crossrail is looking for trainee drivers - scroll down at link. We are delighted to announce that the opportunity has arisen for a number of Trainee Train Driver positions for our Old Oak Common Depot. 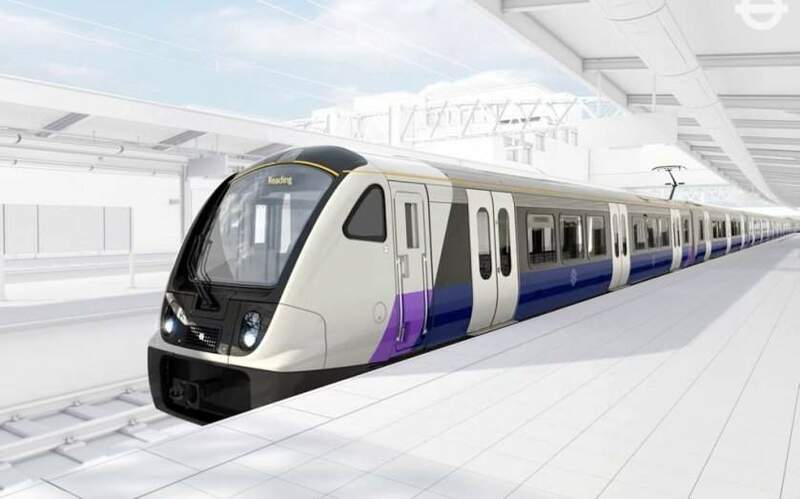 This is the start of your journey towards becoming a MTR Crossrail Qualified Train Driver who will be responsible for driving our passengers across our route safely and efficiently 24 hours a day. There will be staged assessments to successfully complete and you will be required to pass an occupational medical which covers colour vision testing. Enjoy benefits including a final salary pension, rail concessions and the opportunity to join a dynamic, forward thinking, value driven train operating company. I'd be no good as a train driver. I've got a rubbish sense of direction. You don't get too many vacancies for trainee drivers, most prefer to recruit qualified drivers these days. Anyone interested might want to have a read of this. You wouldn't like it msk, too may animals get on the tracks and not forgetting the suicides. Also doesn't help I live in Leeds not London! Is that before or after the wrong type of snow/rain/leaves/sun/shiny coins/deckchairs on the line? Here's the answer to question 146 of the written exam. Is that a show me tell me question, like on a driving test? Unofficially yes, please post back here in pictures when you have practiced. The country is going to the dogs, more people will be topping themselves. I'm not sure if I could cope with anyone throwing themselves under my train. No pay packet can compensate for that kind of stress/distress. Unofficially yes, please post back here in pictures when you have … Unofficially yes, please post back here in pictures when you have practiced. The country is going to the dogs, more people will be topping themselves. … The country is going to the dogs, more people will be topping themselves. I'm not sure if I could cope with anyone throwing themselves under my train. :(No pay packet can compensate for that kind of stress/distress. I am trying to talk him indoors into applying we would have no trouble getting to old oak common in 40 mins, I dont think my eyesight is up to it tho, he has better eyes then me as he is just mildly short sighted, same in both eyes, I am long sighted more so in 1 eye then the other with astigmatism in one eye. But I might have a go at it anyway if he doesn't. photo of the new crossrail train - quite stylish. the signalling should be state-of-the-art too. i'm surprised they didn't put the tracks in some kind of wire cage and make the whole system automatic. but that's good news for potential drivers. xmas prezzies for for aspirant train drivers. LOVE the other links on that page too!!! Thanks for that. Enjoyed it. For that special occasion, a very special gift or to satisfy a dream, the Isle of Wight Steam Railway is delighted to offer a unique footplate experience. For the price of £80.00 you will enjoy a full round trip on the footplate of the day’s service locomotive. Following a briefing you will join the footplate crew. For approximately one hour you will stand alongside and observe the driver and fireman as the locomotive travels over 10 miles through beautiful countryside. Do you get to wear a hat? if they don't provide one one_way, i'm sure there'd be no objection to you bringing along your own hat to wear with pride on the footplate. this train simulator from dovetail looks quite appealing but possibly a bit expensive once one starts purchasing add-on packs. do they make you buy the coal too? Buy your own hat oO sod that they can stick their job. I am trying to talk him indoors into applying we would have no trouble … I am trying to talk him indoors into applying we would have no trouble getting to old oak common in 40 mins, I dont think my eyesight is up to it tho, he has better eyes then me as he is just mildly short sighted, same in both eyes, I am long sighted more so in 1 eye then the other with astigmatism in one eye. But I might have a go at it anyway if he doesn't. Remind me if you get it the job to avoid using trains in that area. 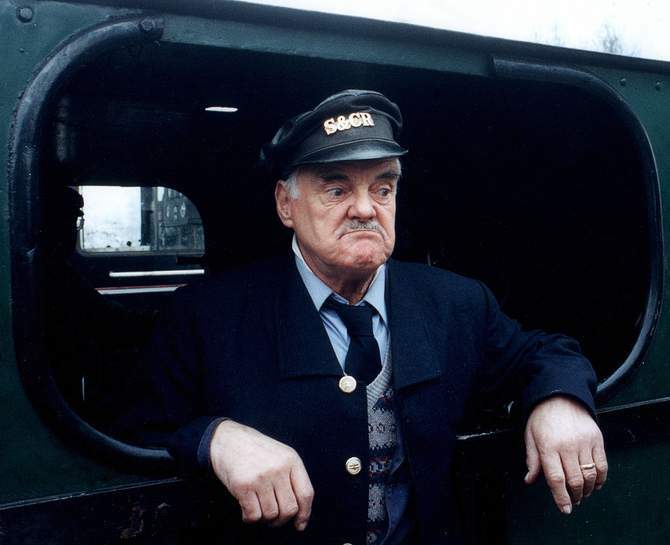 It'll be the first case of a Train Driver arguing with every single passenger. Remind me if you get it the job to avoid using trains in that area.It'll … Remind me if you get it the job to avoid using trains in that area.It'll be the first case of a Train Driver arguing with every single passenger. i imagine coal is incorporated into the cost, arcangel. i can remember when ventnor railway station was bustling : not just with train movements but with extensive coal sidings too. for those who can't get to the island - here's an island railway simulator. includes absurd decommissioned tube trains which currently run on a curtailed main line from shanklin to ryde pier head. I dont stir anything up it really did make me laugh its easily in my top 10 favourite comments on here. A small post with few words and just perfect. I dont stir anything up it really did make me laugh its easily in my … I dont stir anything up it really did make me laugh its easily in my top 10 favourite comments on here. A small post with few words and just perfect. I tend not to just say stuff that will please everyone so we can all dance happily around the beautiful rose garden on a sunny afternoon. it really did make me laugh its easily in my top 10 favourite comments on … it really did make me laugh its easily in my top 10 favourite comments on here. A small post with few words and just perfect.